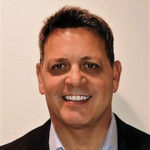 Michael Cibelli serves as SVP Sales for Zailab. Having worked in the competitive channel landscape for more than 25 years, Michael has led various companies to channel success. He is passionate about technology and its applications for business development. Tech companies should seek a channel sales partner with expertise in your specific area and who have an existing portfolio of offers that align with yours. SalesTech Star is a publication for sales professionals to stay conversant with the latest in sales technology. We cover the most important insights about sales technology in the form of news, guest posts and interviews with top Sales professionals. © 2019- SalesTechStar. All Rights Reserved.